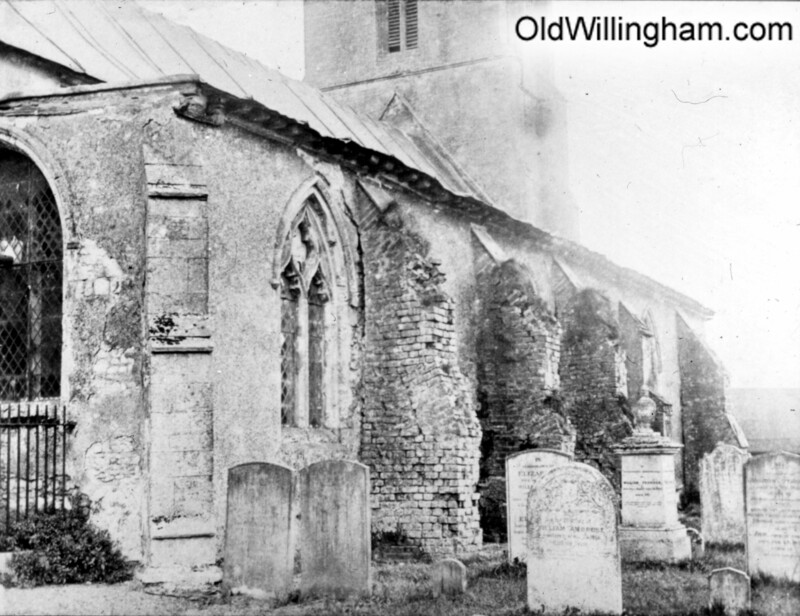 For most of the 1800’s Willingham suffered from “absentee rectors”. These men had no interest in the village and typically lived in Cambridge or even London, collecting the income and paying a curate a small wage to run services. The church had no maintenance and by the 1880’s was in a sorry state as seen here. This changed when Rev John Watkins arrived in 1890. He not only lived in the rectory but set about restoring the whole church at his own expense – during which time he discovered the amazing wall paintings. It is thanks to John Watkins that today our village can be proud of this wonderful grade 1 listed church.